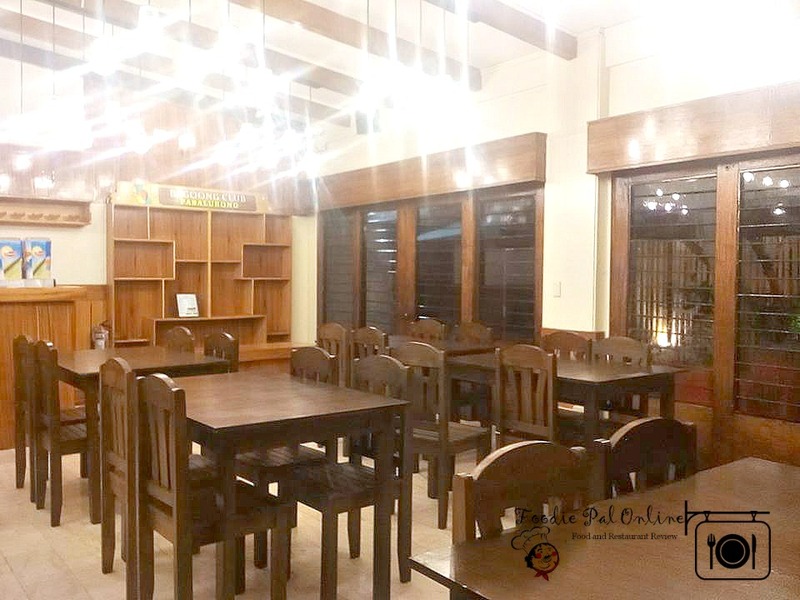 An ancestral home converted into cozy "lutong-bahay" (home cooked meal) restaurants, always a good option for provincial visit or a venue when you're in a large group or big family gathering. 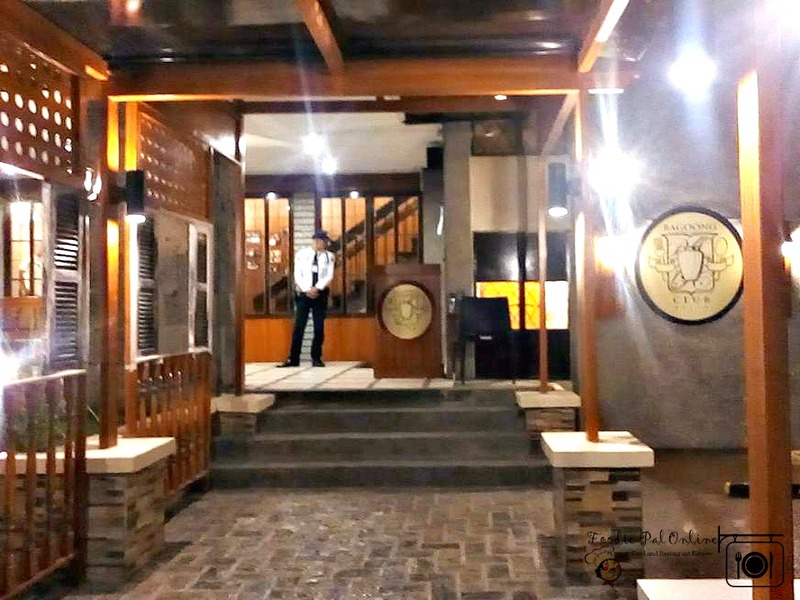 The Bagoong Club Resto is no exception. For a developing city like Davao City, I'm glad that there's a new restaurant to offer good comfort food and spacious setting to accommodate family or even out-of-town guests craving for authentic and unique fusion of Filipino dishes. The restaurant occupies two floors, first floor is divided into two areas, BINAGOONGAN and BULALO room. Same as with typical house, the furnitures and fixtures are made of woods. The interior is very laid back, which I like very much. 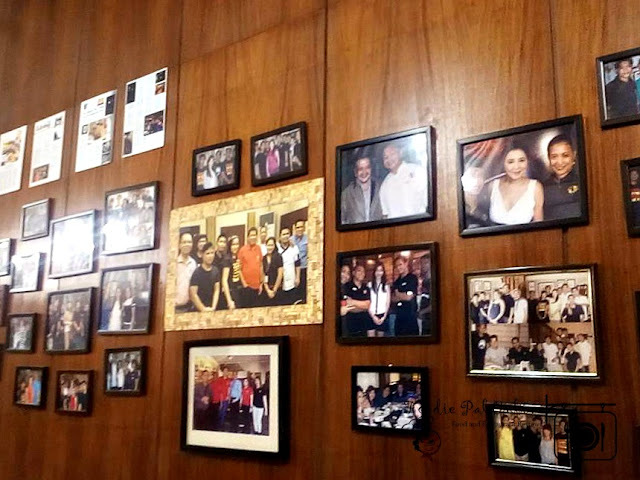 There were some resemblance of my Grandpa's old house -- the photos on the wall and magazine clips and other publications where Bagoong Club was featured. A few interesting pieces of decorations that ultimately matched the old fashioned home decor incorporated with a good ambiance of the place. There is a Pasalubong Corner near the counter, according to the management they are still planning to put what they have in their other branches, the likes of Bottled Bagoong and other delicacies, that I'm sure they taste good! HOMEMADE FOOD at its best! 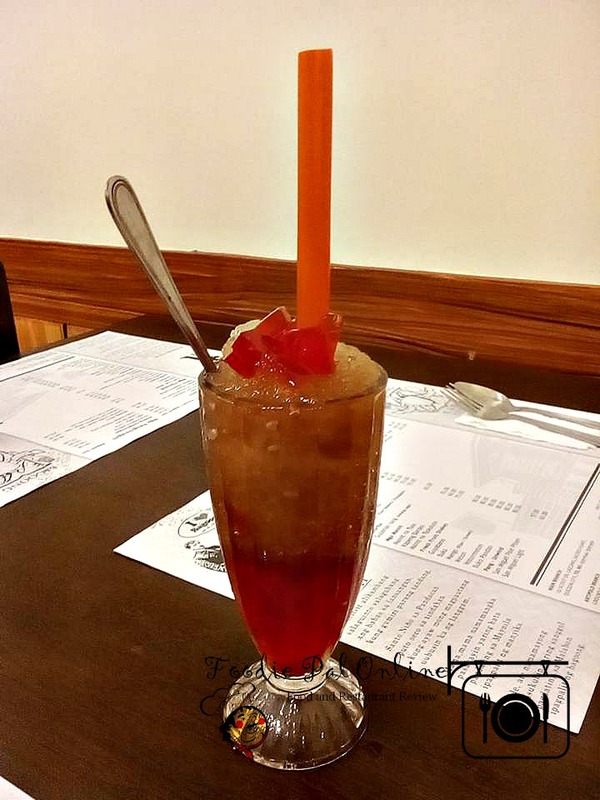 Honestly, I thought that all their dishes contains bagoong (shrimp paste). But I discover that bagoong is not applicable to all dishes. 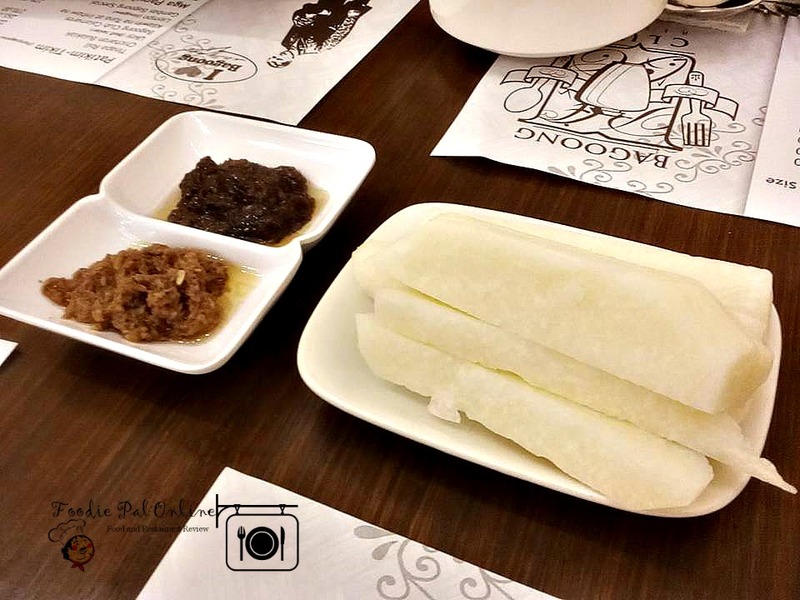 A complimentary treat with two kinds of bagoong - the sweet Bagoong Pag-ibig (love) and the spicy Bagoong Umaga (morning). 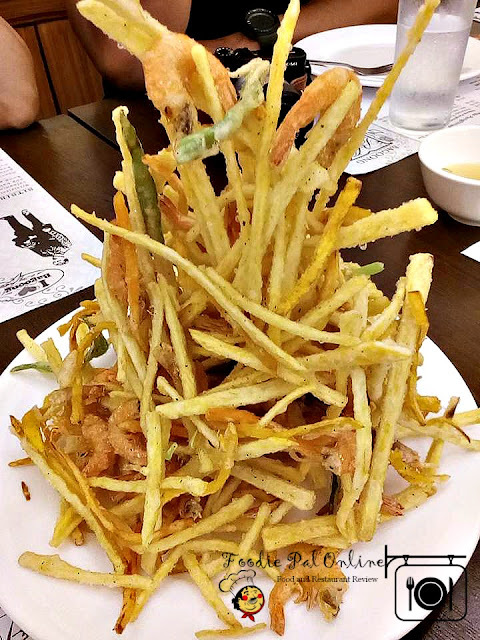 I love singkamas (Jicama) so much that I feel addictive munching it to the last bite even if the main dishes were served to us. 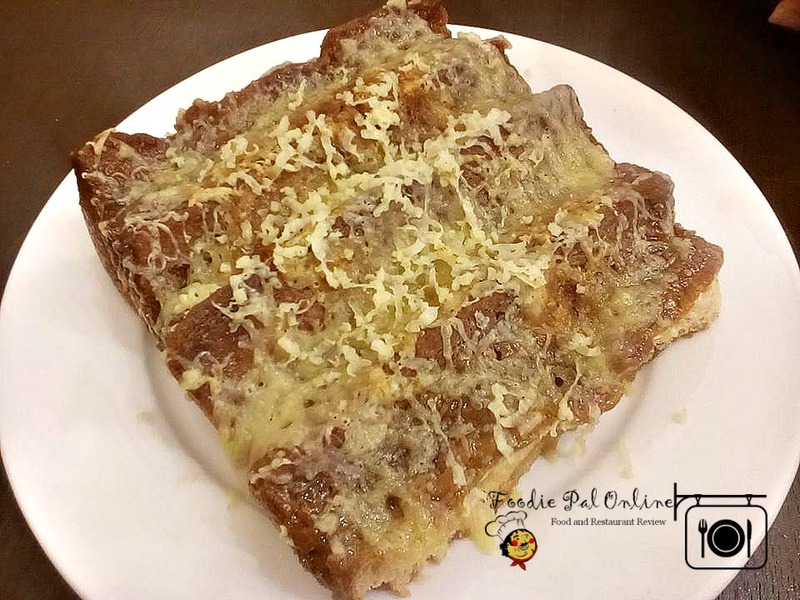 A best seller indeed and we love the taste of their Ukoy dish. Not the traditional ukoy that my mom usually cook at home. A crunchy shrimp with strips of Kalabasa and Kamote (sweet potato), it has unique taste dashed with their very own bagoong powder ---it is savory and crunchy. This is my first time to eat ISAW in a restaurant. And to tell you honestly, it is very yummy (well for me this is my fave!). BASTA BINAGOONGAN four different kinds of bagoong sauce infused dishes. 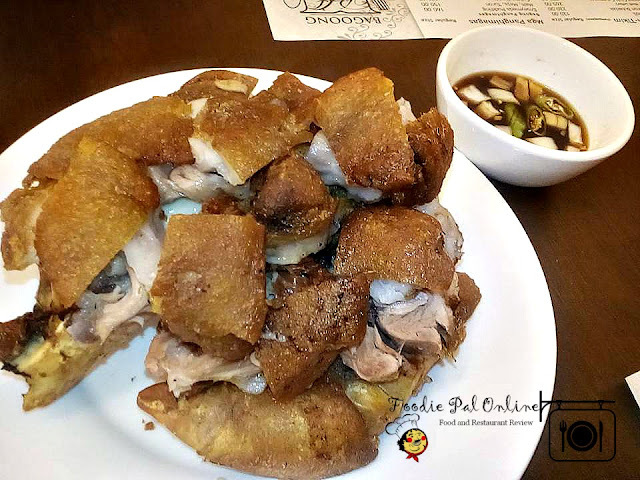 A nice twist to a classic binagoongan, the crispiness of the pork is more tastier than the common pork binagoongan I've tried. So easy to chew and the sauce is perfectly blended! Crispy Pata is traditionally present in every Filipino meal, especially in a special occasion. A tummy pleaser indeed, its crispiness and delicious taste after dipping it in a vinegar with a soy sauce, I can't resist the delicious taste of the pork. 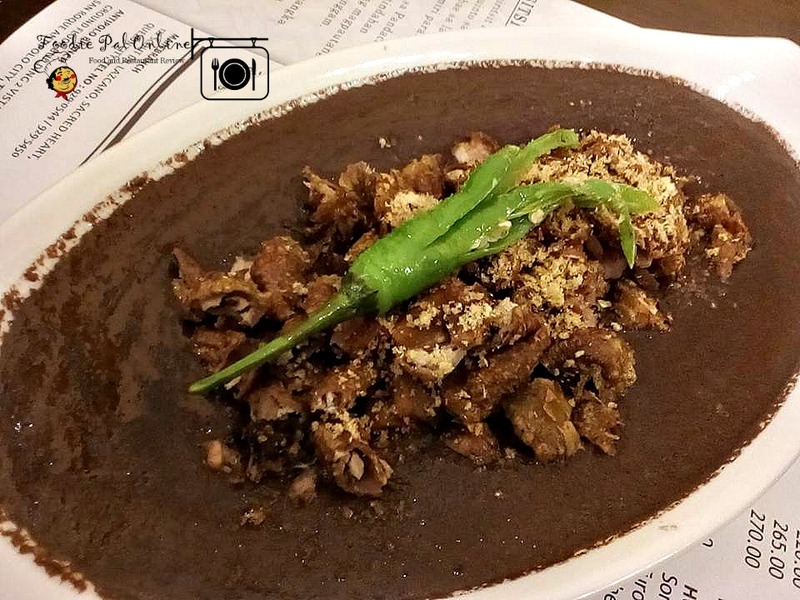 An added dish to their Davao menu - Crispy Dinuguan. 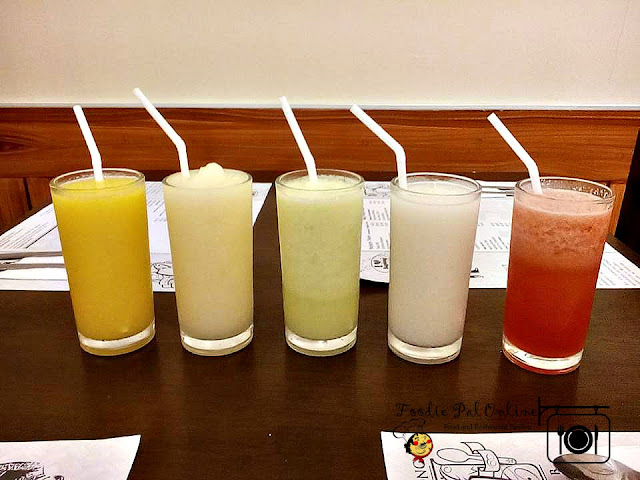 Davao palate is very different from Manila, we do have different appreciation of taste and flavor. This time Bagoong Club introduce their Crispy Dinuguan to all Dabawenyos to try. 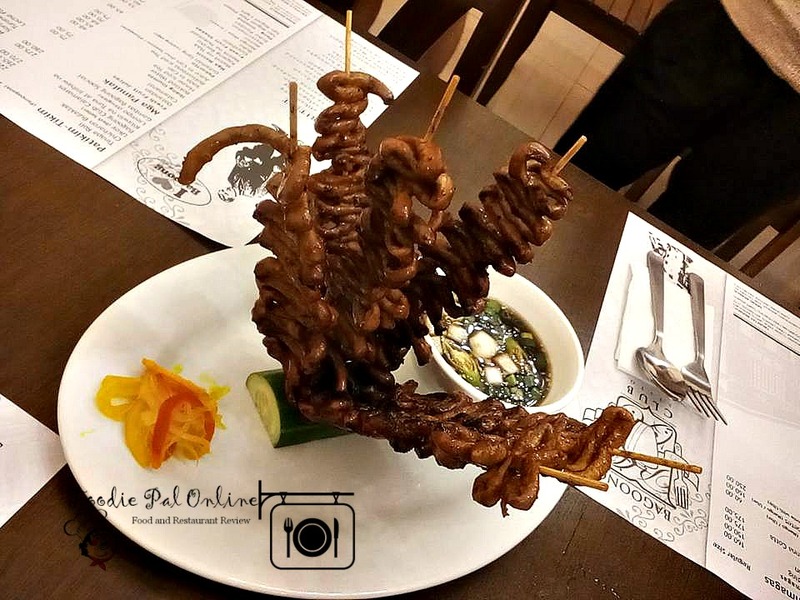 The Dinuguan or the bloody porcine dish, with crispy pork cook with sauce thick, rich and creamy. Despite the numerous versions of it across the country, I can still love this dish depends on how it cook and presented. 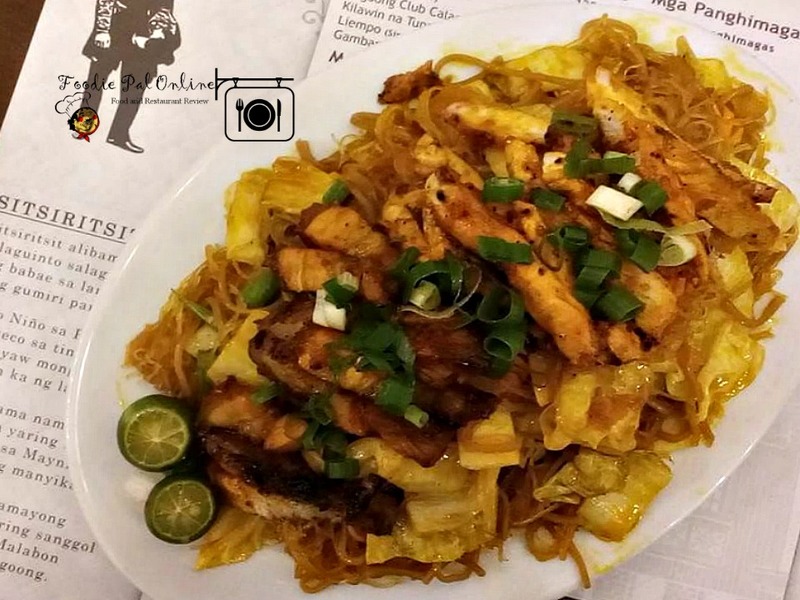 A new fusion of Filipino dish, a pancit mix with the recipe of Inasal. Inasal is a local variant roast chicken or pork marinated in a mixture of lime, pepper, vinegar and annato grilled in a coal. This time Bagoong Club combine the two recipes in one dish. 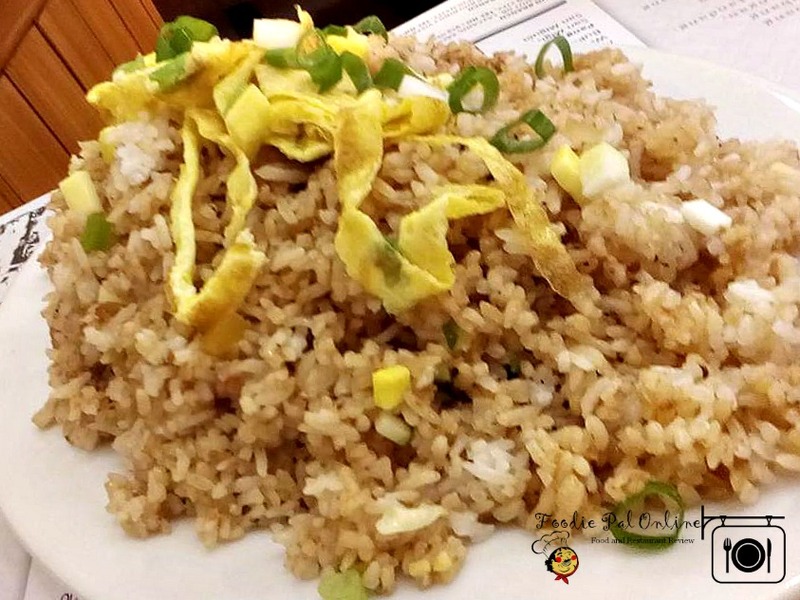 I like this dish because it tastes good and can be a complete meal by itself. I know everyone will raise their eyebrows upon reading the name of the dish. Yes, you got it right! A Puso ng Saging made into sisig. 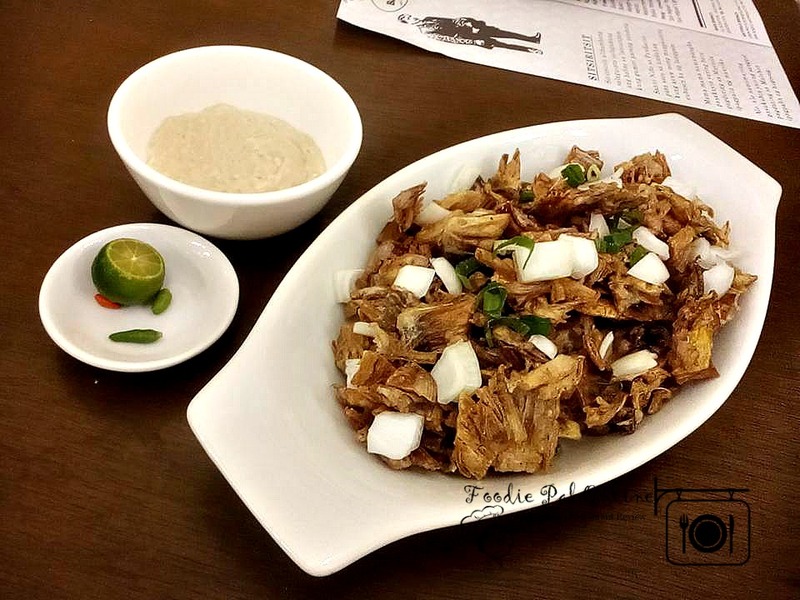 The banana blossoms are cooked crispy sisig style with onions, liver and chili peppers as a topping. Who doesn't love sisig? Oh, well if you doesn't like it better love this recipe now! It taste like pork sisig. My all-time fave Kare-Kare dish. 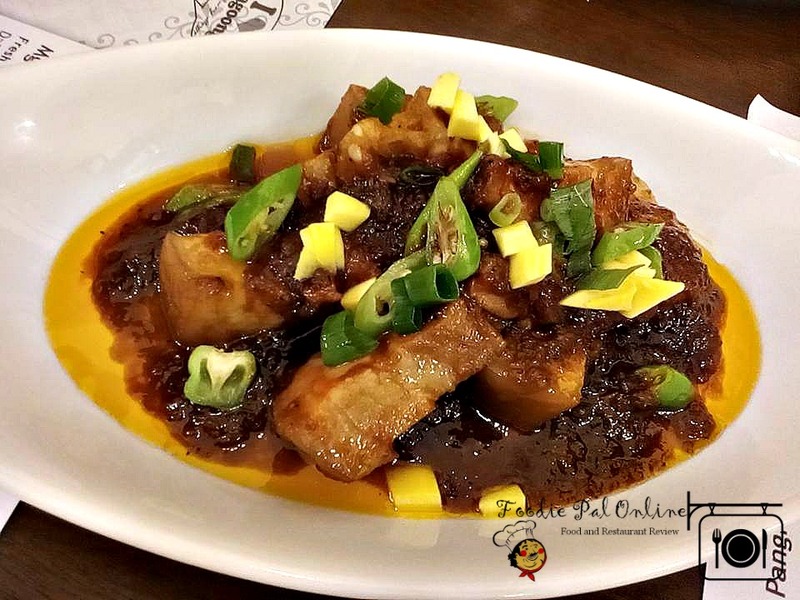 A Filipino stew complimented with a thick savory of peanut sauce perfect with spicy bagoong (shrimp paste). You can request, for a separate plate for the vege if you don't like to eat it with the sauce. 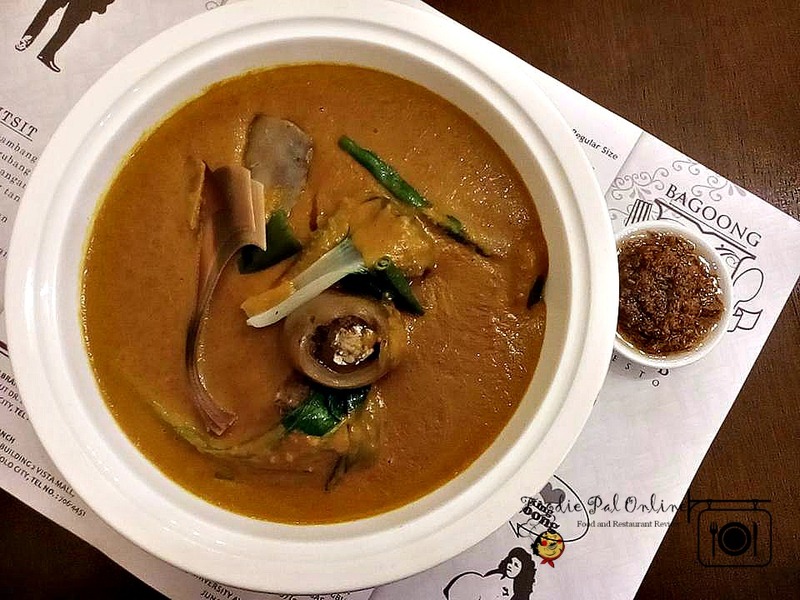 What I like with Bagoong Club Kare-kare is that they used a well roasted peanut that is well processed, when you taste it you can still feel the grainy texture of it - so delicious. As I can see it the color of the dish is so bright, but I'm not that sure if they add "annatto" or atsuete powder to make the food reddish, though this ingredients cannot affect the taste of the dish, it just add brightness! 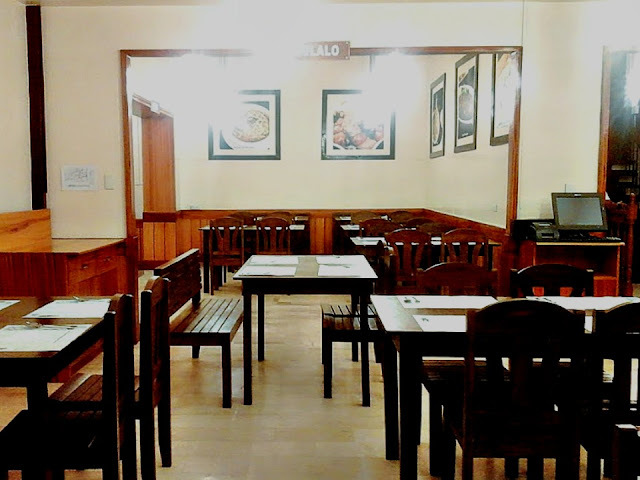 The soup dish is one of the best-sellers, Bulalo sa Monggo was Bagoong Original recipe, just like most of their dishes. 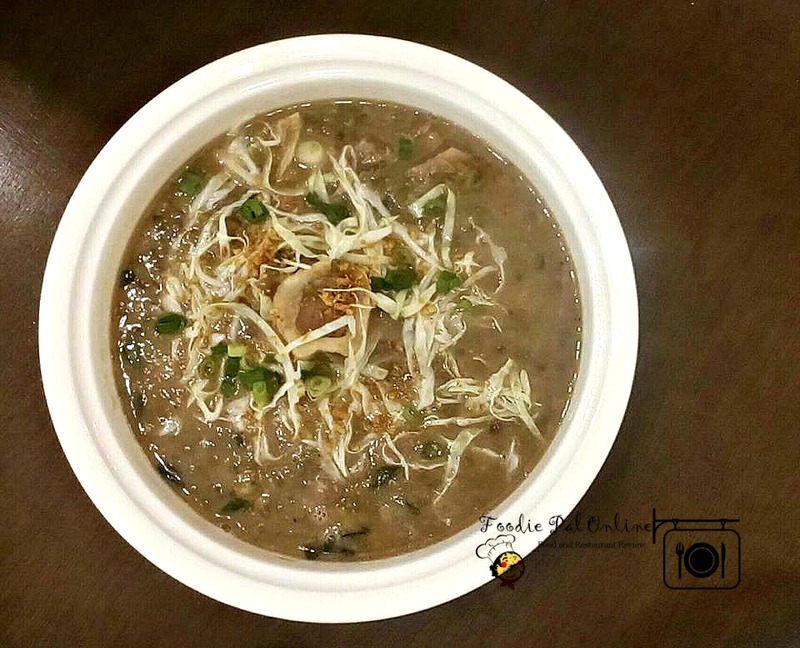 I love bulalo and I love monggo...so better try this dish and let me know your verdict. 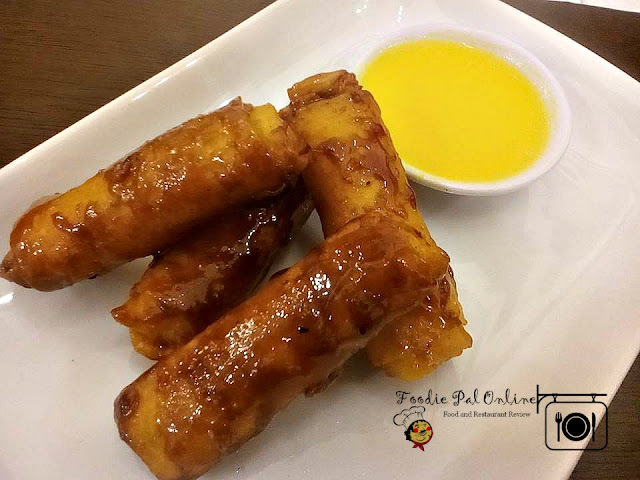 A turon with maja blanca and corn filling and a pudding recipe made in to a Pinoy favorite ensaymada. First time to eat these desserts, the best dessert recipes so far, so yummy plus it's a healthy dessert! Thumbs up! 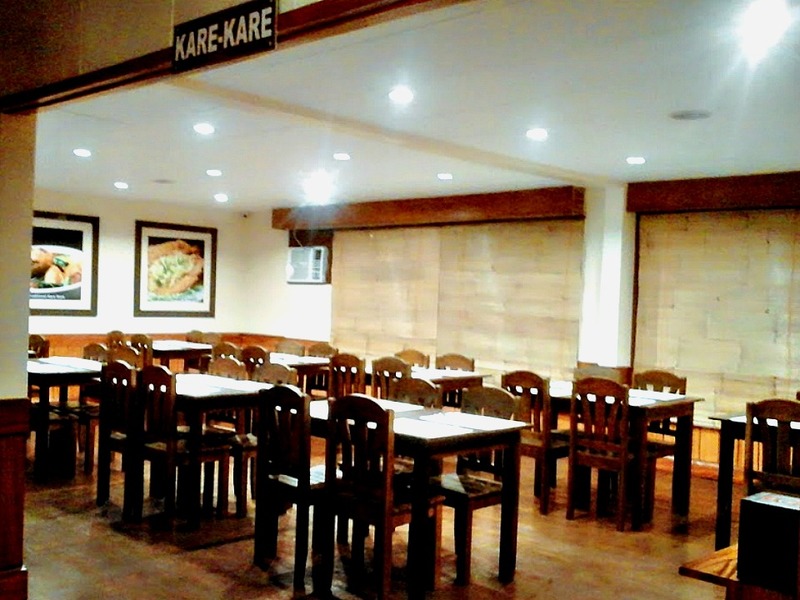 Eating here is like eating in our own home, but with a twist - a taste of fusion! Their menu is very simple, no frills at all. 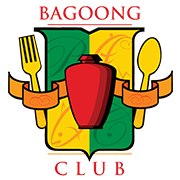 What is very unique with Bagoong Club is they serve authentic and unique home style food. Very reasonable priced, ranging from P100-350. Food Serving is good for sharing, either share it with your group and/or family gathering. Serving time was quick too. Waiters are very attentive, but some are lacks of smile on their faces. The ambiance is very cozy and "homely". 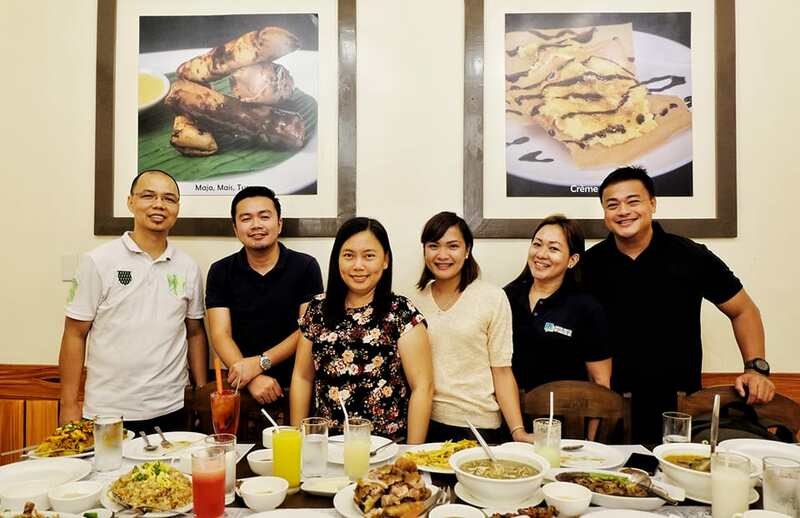 Overall, it was a very good time for us #TeamDDI to be invited for a food taste at the new cuisine in town - The Bagoong Club Resto, the innovative Pinoy fusion restaurant that features bagoong on most of the dishes. 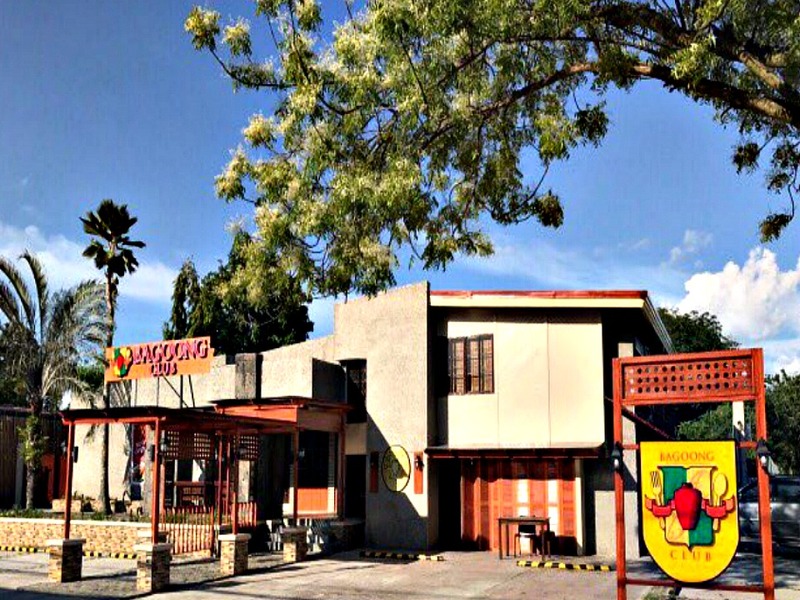 Looking forward for the Acoustic Bar to open and more offerings of new menu for the Dabawenyos.